Ambala is a city and a municipal corporation in Ambala district in the state of Haryana, India, located on the border with the state of Punjab.It has a large Indian Army and Indian Air Force presence within the confines of its cantonment area. 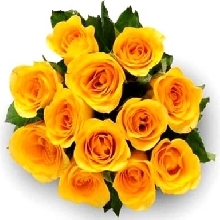 It may be any occasion of Birthday Flowers Cakes Delivery in Ambala, Anniversary gifts delivery, Love and Romance gift basteks delivery in Ambala city or Cantt, phoolwala.com is the best online Ambala Florist to deliver Online Flower Delivery in Ambala, all kinds of Gifts To Send Ambala to India on express delivery mode on same day. Online flowers cake delivery service in Ambala is provided by phoolwala. you can send flowers with cake to Ambala on same day delivery basis. Flowers and cake are delivered on birthdays, anniversary occasions. if you are looking for the best Ambala Florist to send flowers cake to Ambala then Phoolwala is the best online florist. Phoolwala also send flowers to Ajmer, send flowers to Amrtisar, Bhopal, Kochin and all India cities.